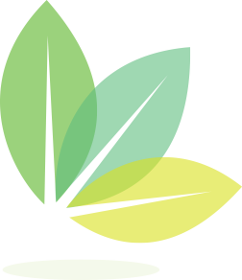 Please join us for a Candidates Forum on the Environment and Development on Tuesday, October 23, from 7:00 pm – 9:00 pm at Bay Ridge Christian Church (1071 Bay Ridge Road). We are honored to partner with the Annapolis Neck Peninsula Federation as one of fifteen sponsor organizations for this important night. 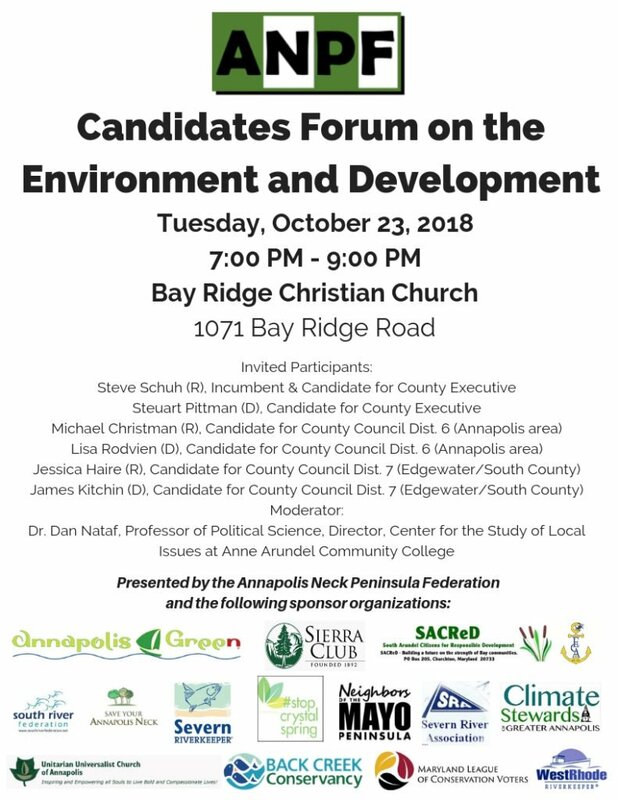 This is a nonpartisan event for area voters to meet and hear from candidates for County Executive and County Council Districts 6 (Annapolis area) and 7 (Edgewater/South County) on the critical issues of environmental protections and development. November’s election will be crucial for the future of both of these areas, which are at a crossroads when it comes to growth. As residents of Annapolis and South County, we know these are attractive places to live. However, our County is at a turning point where development either overwhelms us or we manage it in order to protect our quality of life and the environment. Come hear your candidates lay out their visions, plans and policies that will guide the future of our communities. The discussion will be moderated by Dan Nataf, PhD, a professor at Anne Arundel Community College and Director of the Center for the Study of Local Issues. PLEASE NOTE: Early voting begins on October 25 and runs through November 1. You may vote on any of these eight days from 10 am to 8 pm at the City’s Pip Moyer Recreation Center at 273 Hilltop Lane or at any other early voting center in the county–click here to see the list. You may also vote on Election Day on November 6. Click here to find your assigned polling place for Election Day. Annapolis is over populated as it is. I was born an raised in this town an work downtown. At 6:30 in the morning traffic is shareable, an takes 7 minutes to arrive 1.26 miles. The return trip takes 28 minutes. Please get of the growth wagon; unless you can build a entirely new an different road system. Forrest drive is a narrow mess. Emergency vehicles hardly fit in the lanes. Stop hiring out of town engineers to develop our roadways.